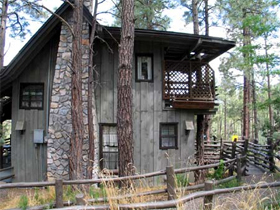 Our secluded, enchanting and delightful two story, split level cabins with fireplaces are located in the mountains, at an elevation of 7000 feet, in the Ponderosa pine trees and surrounded by the 3 1/2 million acre Gila National Forest. 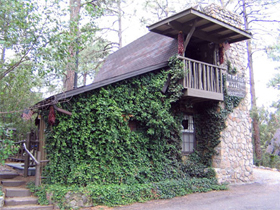 Most of our cabins have trees growing right through their porches. 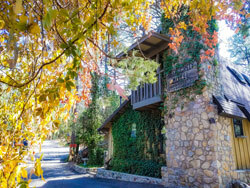 Our guests enjoy the ambiance of their own forest getaway right from their own cabin door. 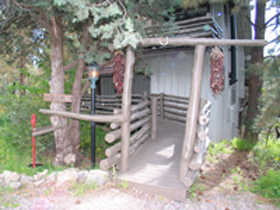 Each cozy, two story cabin is uniquely designed to embrace nature and provide you, our guest, with privacy and real comfort. 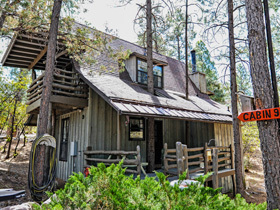 The cabins are sparkling clean and fully equipped with all necessary amenities, linens, coffee makers, microwaves, satellite TV, phone, fans, heaters, and fireplaces. Some units have full kitchens. 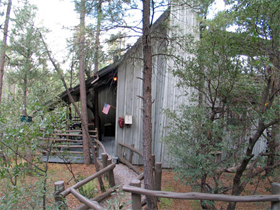 Enjoy a cookout on your private covered patio which includes a picnic table, a BBQ grill is available at each cabin. 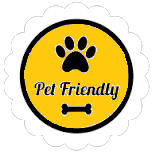 Do you like photography, bird watching, or star gazing? 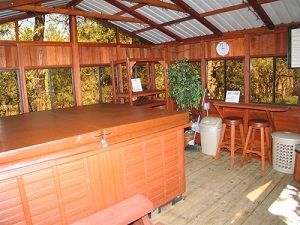 Then your private, upper level deck with comfortable Adirondack style chairs will provide hours of relaxing enjoyment. 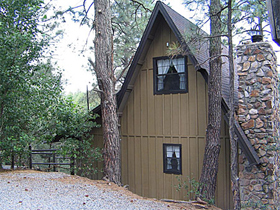 The distinctive differences of each cabin is listed on each cabin page. 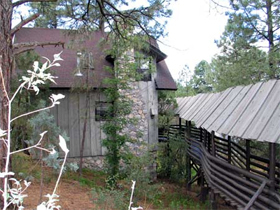 Duplex cabin with upper level king, balcony with Adirondack chairs. Lower level counter bar w/fridge, micro, coffee, living area, and bathroom. Kiva fireplace. Cover front porch w/picnic table & a BBQ grill is available. Free standing with two upper level private kings. 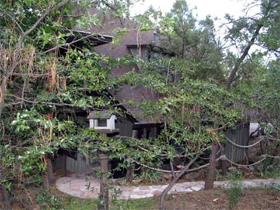 Large shared balcony off each bedroom with Adirondack chairs. Lower level kitchen, living area, and bathroom. Kiva fireplace. Cover front porch w/picnic table & a BBQ grill is available. 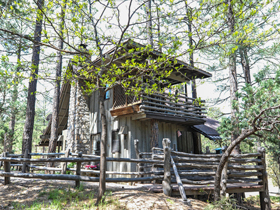 Free standing cabin with upper level double and lounge area, balcony with Adirondack chairs. Lower level kitchen, living area, bathroom and queen. Stone fireplace. Cover front porch w/picnic table & a BBQ grill is available. 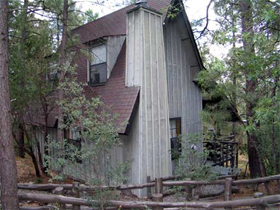 Free standing cabin with upper level private queen, loft double, balcony with Adirondack chairs. Lower level kitchen, living area, bathroom. Stone fireplace. Cover front porch w/picnic table & a BBQ grill is available. 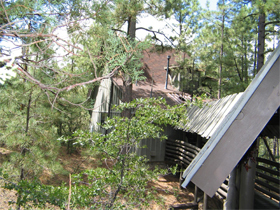 Duplex cabin with upper level king, balcony with Adirondack chairs. Lower level w/fridge, micro, coffee, living area, and bathroom. Stone fireplace. 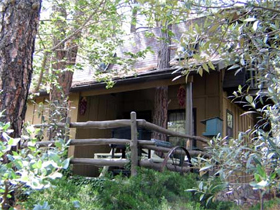 Cover front porch w/picnic table & a BBQ grill is available. 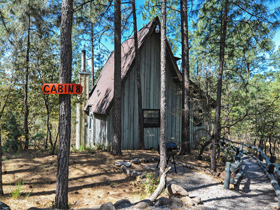 Free standing cabin with upper level queen and large lounge area, balcony with Adirondack chairs. Lower level kitchen, living area, and bathroom. Stone fireplace. Cover front porch w/picnic table & a BBQ grill is available. 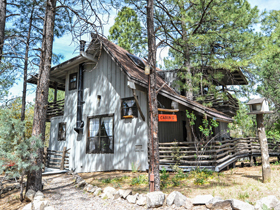 Duplex cabin with upper level double and twin, balcony with Adirondack chairs. Lower level w/fridge, micro, coffee, living area, and bathroom. Stone fireplace. Cover front porch w/picnic table & a BBQ grill is available. 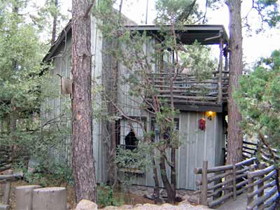 Duplex cabin with upper level king, balcony with Adirondack chairs. Lower level efficiency kitchen, living area, and bathroom. Wood stove fireplace. Cover front porch w/picnic table & a BBQ grill is available.